Even though it feels like the witching season this fall with the likes of American Horror Story: Coven and the Witches of East End coming to our small screens, there's still life left in those undead bloodsuckers as The Vampire Diaries gets a spin-off with The Originals. 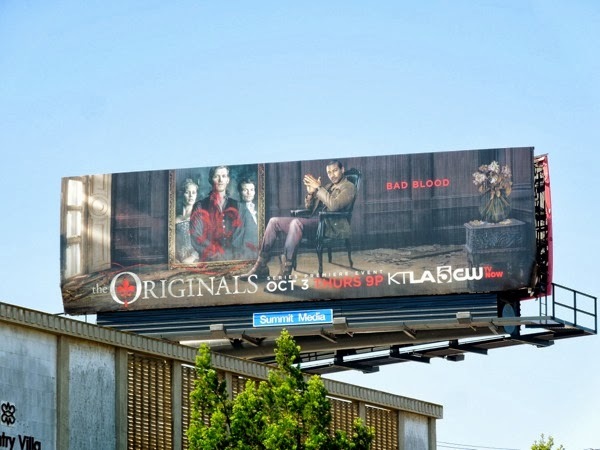 Set in New Orleans the new supernatural series follows the 'Mikaelson' siblings, the world's original vampires, vicious 'Klaus' (Joseph Morgan), noble 'Elijah' (Daniel Gillies) and mean girl 'Rebekah' (Claire Holt). 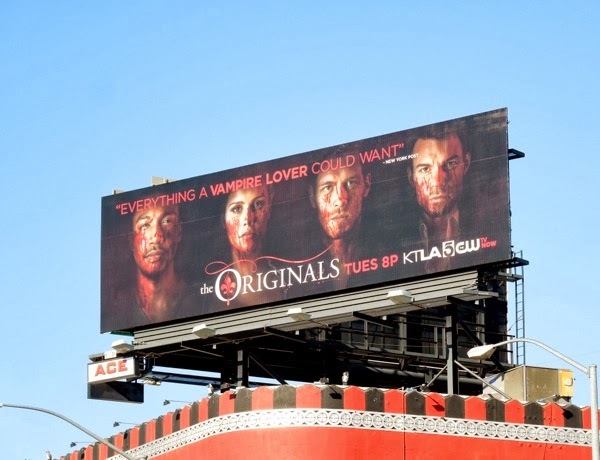 Instead of focusing on love triangles and romance, like in The Vampire Diaries, this new show will be driven by family, and as these are long-lived vampires you can probably expect a few flashbacks too. Charles Michael Davis also stars as 'Marcel Gerard' (the vamp in the chair), a former protégé turned rival of Klaus, who has created a community where vampires rule by driving out werewolves and neutralising the threat of witches. Sounds like a volatile situation, rife with possibilities for something to go wrong don't you think. 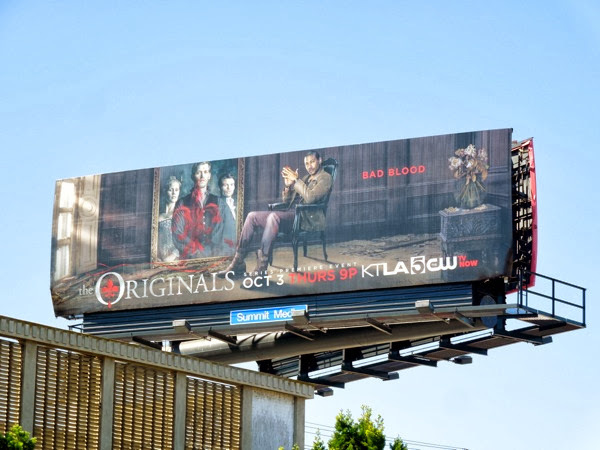 This series premiere billboard for The Originals was spied lording it over Pico Boulevard on September 26, 2013. 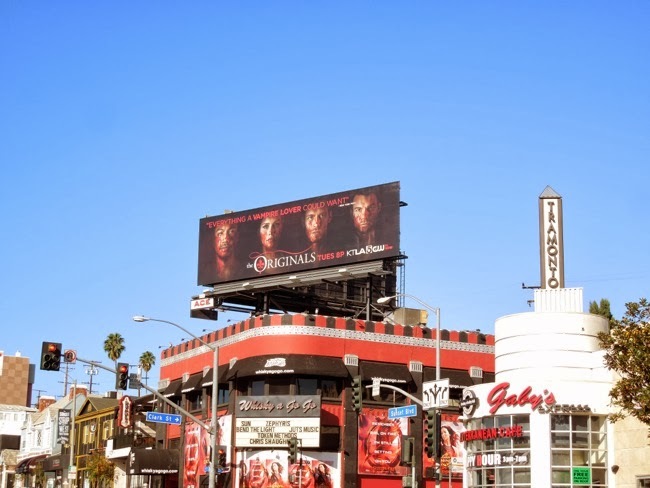 If you're a fan of the show that spawned this spin-off, be sure to also check out these cool billboards for The Vampire Diaries. UPDATED: It looks like the New York Post isn't the only one enjoying what this vampire drama has to offer, as The CW has given the freshman spin-off series a full season order. 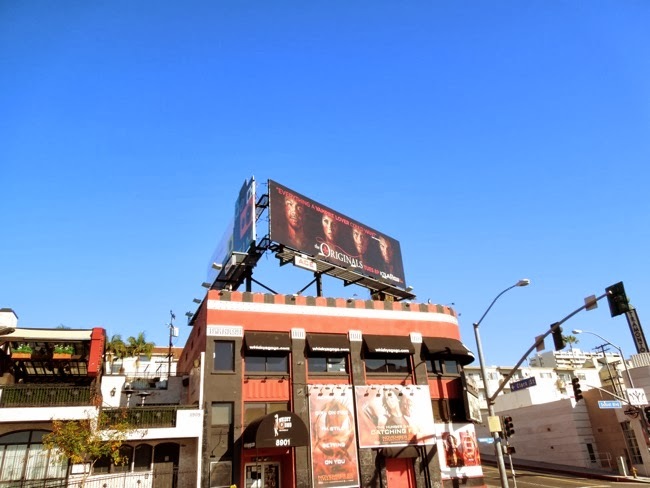 To show their continued support for The Originals, they've also given the series this extra billboard ad creative along L.A's Sunset Strip above the infamous Whisky A Go-Go club venue, spied on November 24, 2013.